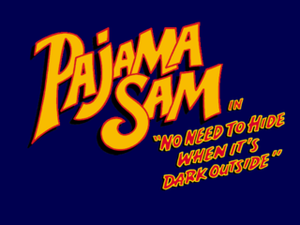 Packaged with Pajama Sam 2: Thunder and Lightning Aren't So Frightening and Pajama Sam's Lost & Found. To save the game, press S at any time while playing. To load a saved game, press L.
Game is centered in the middle of the screens, mostly unplayable. Music, SFX, and Speech volume sliders. This page was last edited on 4 April 2019, at 03:31.